Next World Immigration Services Associates has created a niche for itself in the past two decades as the pioneer of Professional advisors as Immigration consultants with a plethora of individuals gaily settled in various countries across the globe. We have successfully been assisting people in effectuating their desire of settling abroad. The organization has helped myriad professionals with expertise in Law, Human Resource, Medicine, Business administration, Financial Management, Public Relations, engineering, etcetera. We hold Professional Associations with consortiums such as ICCRC in Canada and MARA in Australia. With humungous experience serving a varied range of clientele, we can offer a varied range of Visa and Immigration consultancy to our clients. Entry to Australia, Canada, USA, United Kingdom, New Zealand and many more countries is a privilege, not a right. If you want to visit your family members, Live, Work, Study or Do Business in these countries, then you must meet the necessary Immigration requirements and you may need a Permanent Resident Visa also known as green card visa under the skilled immigration category or Temporary Resident Visa also known as non immigrant visa like Tourist Visa, Student Visa, Work Permit e.g. H-1B work permit Visa to USA. Customer satisfaction happens to be the determining factor which bolsters the overseas settlement services for us. We have successfully places various skilled immigrants to the globe as we work on the fundamentals of commitment and trained and supportive staff to help the candidate and we religiously follow an open and accountable work frame. We are pledged towards making our client services fair, professional, unambiguous and reasonable. 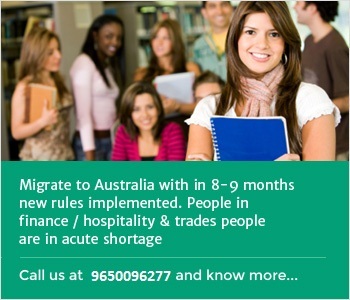 It is an immense privilege in today’s competitive world to be granted an opportunity to work and strive in the developed world and there is an extensive process of documentation and criterion one must undergo to be able to avail a Permanent Residency (under skilled immigration) or temporary Resident Visa ( in the form of tourist visa, student visa). We primarily help the immigration or Permanent Residency (PR Visa) seekers in countries where a person can hoist his standard of living, avail better work and personal opportunities to pave towards a cumulative future growth. We are Immigration consultants to Australia, Canada, New Zealand, the USA and the UK providing various facilities like enabling a person to seek Permanent Residency (skilled Visa), Immigration, Tourist Visa, spouse Visa, Business Visa and so forth. We undertake all the procedures and concerning legal matters involved in the process to enable our clients to migrate to the fore mentioned destinations with the least involved hurdles possible. Being one of the precedent visa and immigration consultants in Delhi, Next World can be quite valuable to ease down the process of immigration for you. We help the candidate prepare his Visa petition for a substantial range of classes. 1> We provide visa facilities to countries like the US, Canada, UK, Australia and New Zealand. 2> Family immigration visa such as spouse visa or partner visa, parents visa, child visa etc. 3> Business entrepreneur Immigration Visa. 4> Tourist visa for US, UK, Canada, Australia, New Zealand etc. 5> As a leading study abroad consultant, we help you in study visa for Australia, Canada, UK, New Zealand and many other countries. 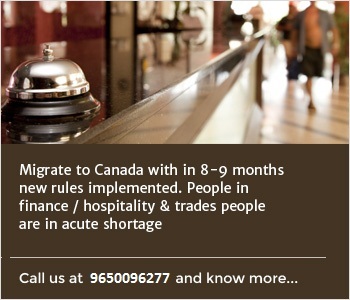 2> Skilled Immigration to Canada (Express Entry, PNP program). Everyone wants to travel around the world but the most important and crucial part of travel formalities is the visa processing. A visitor will always be in a baffling situation after submitting the visa application until he or she finds out the status of the application. because embassy staff is going to decide whether a visa should be granted or not after reviewing the visa application, And there might be a possibility that your visa would not be approved due to some unsatisfactory information. Thus, one should always hire visa consultants as they have the accurate prowess to recognize problems and this convinces us that the procedure is going to be hassle-free. We will help you to understand the role a visa consultant plays in your visa processing. Convenience – The visa consultant deal with all the tiresome work like filling the application forms, booking appointment dates, preparing the letters, presenting an application, paying the fees in the bank or getting the DD done, collection of passports, etc. Applicant just needs to gather the documents required as per the list provided by them. Expertise – Visa consultants are more proficient in their work and the chances of visa approval would always be higher. Time-Saving – Time is the most precious asset and the information available online is not always accurate so we may waste a lot of time in research and quickly get puzzled and this blunder can cost your visa refusal. Without a doubt, you will save a lot of by hiring visa consultants. Everybody wants to be with their spouse that is why people desire to call their partner to the country they are living in. 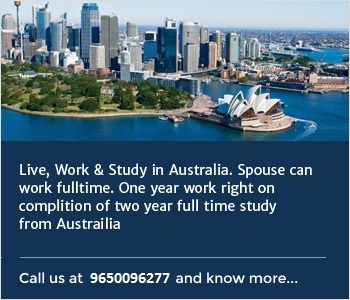 One of the ways to call your spouse to Canada, USA, UK, Australia, New Zealand etc. is through spouse visa. Hiring spouse visa consultants will help you to comprehend the spouse visa procedure in detail and avoid mistakes while preparing documents or application submission which may help you to save your time and efforts. - Expertise and success ratio: We at Next world immigration work as a devoted team and our aim are to satisfy our clients with our work. We will help you from the beginning till the end. 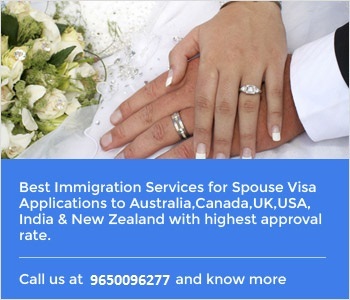 We have successfully dealt with innumerable spouse visa applications till date and we have an incomparable success rate. – Knowledge and efficiency of the consultant: We have proficient Case processing team here at Next world immigration. They are exceptionally experienced people and have never disappointed our clients. – Transparency: We make sure that we share every activity happening on your visa application because we believe that you should be informed in case of any progress or obstacle. – Our Clients says it all: It feels good when our clients appreciate our work and even refers our name and services to their friends or family. When you hear it from someone who has taken services in past is more valuable and satisfying. Applying for Canada/Australia PR can be intimidating and lengthy procedure. Many people think that they can find everything on Google which might help them get through the extremely complex process of PR application. You may hire google as a consultant for simple visitor visa application, but for those who aspire to live in another country on a permanent basis, It is highly recommended to hire an immigration consultant to help you with the documentation and to oversee the procedure carefully. Just one small mistake on your application form may cost you visa denial, which, in a result, may lead to delay and in numerous cases, a loss of entire payment. With the visa fees constantly increasing, it is definitely not something you would like to take risks with. As such, hiring a competent person for processing PR application is recommended. Since they will help you through the application process, will always make sure that you fill out all aspects of the forms accurately. Save Time and Money: Of course, hiring a visa consultant to guide you will invite expenses, but the possibilities of making mistakes would decrease. Simply making a small error, like applying in the wrong category can delay the processing of your application. Moreover, government authorities may impose charges for making these small errors or may ask you to redo the whole process. It is highly recommended to hire an immigration consultant they been through the procedure thousands of times and their expertise will save your time and make the process as smooth as it can be. Our work is underpinned by our guiding principal of Complete Customer Satisfaction. 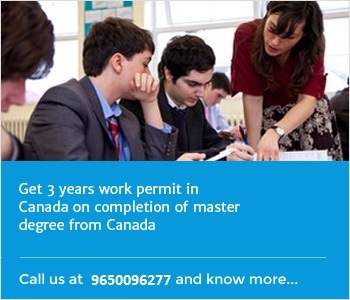 We help students from New Delhi and across India to get admission in various colleges and universities across the world to countries like Canada, USA, UK, New Zealand, Australia etc. 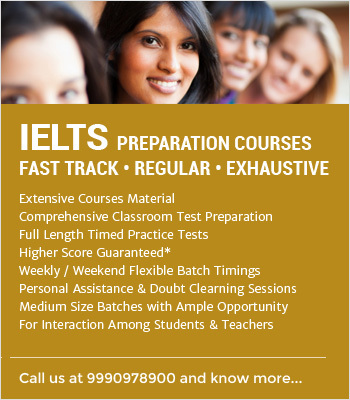 We are committed to having well trained and supportive staff and to developing and maintaining an open and accountable culture within the ambit of client services that is fair, reasonable, and professional in dealing with its clients.We assist our students in choosing an appropriate course and overseas education destination depending upon various parameters like post study work permit and settlement opportunities.